Welcome all members of humanity. Check out the newest book! My Body Belongs to Me is a new children's book about body boundaries, creating early awareness and empowerment. It helps begin an important conversation, and is a wonderful tool to help prevent child physical/sexual abuse. Filled with engaging questions and tips for parents and caregivers: My Body Belongs to Me is part of a new generation of literature aimed to raise children who do not need to recover from their childhood. Prevention begins with awareness and empowerment, it begins at home with us. If you have children, nieces or nephews this is a perfect book for them. Recommended for ages 3-4 and up. an organisation that provides support, intervention and treatment for child victims of abuse. They have helped over 10 million children. And together maybe we can help 10 million more. the Revised Masters Edition is Here! ​A book for the re-evolution! Filled with insight and imagination, questions and quests, challenges, and call for meaningful change, including all the tools to truly create one. This is the manuscript for a 21st century awakening. Consciousness is key in a time of mass delusion, through rediscovering a deep hidden truth, we can redefine our place, reignite our passion in life, and re-imagine our purpose. If you are looking for a life change, if you like to have your mind blown, if you love soul-food, or just want a new adventure- then this will more then deliver. Clear, powerful, practical and profound. Looking around the world, at its current state, there is clearly something missing. We see a broken world filled with suffering, lack of compassion, and violence: but it doesn't have to look this way once we fix what is broken within ourselves. That is why I wrote The Self Beyond and Universal Hidden Insight. That is why I do this work. I am here to help wake you up into a greater vision, a panoramic view you may not have even imagined yet. This vision sees through the veil of a limiting paradigm to break free. Here, I invite you to explore and discover, what you are really made of. ​is a navigational and instructional field guide for your journey toward self-discovery, deeper healing, and soul transformation. ​explores love, existence,reality and everything that matters. 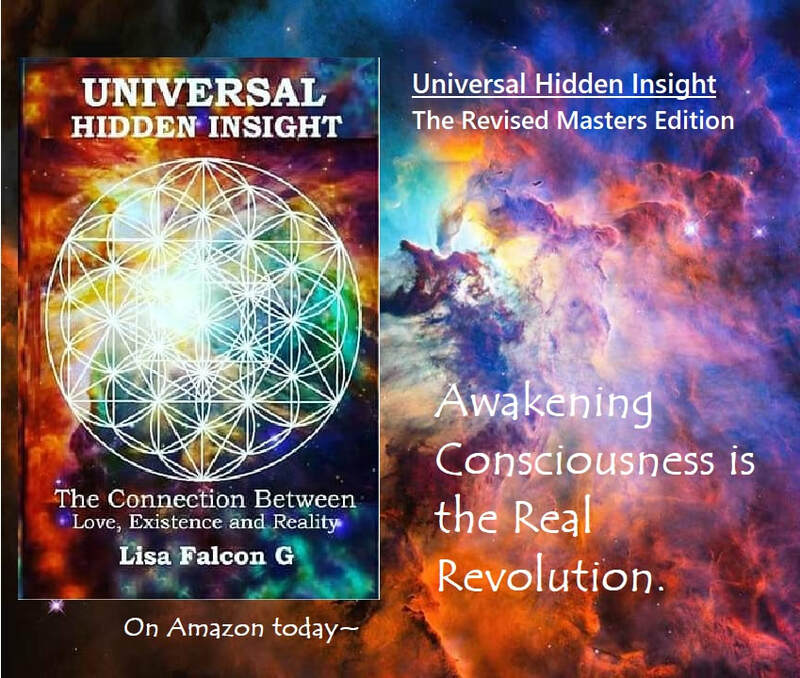 ​This is a deep dive into truth & awakening. These are not just blissful cosmic books. Oh no. Is that what you expected? These book are an awakening. An eye opener. An awakening requires challenge, discomfort and an undermining of every false foundation. These books will call you out. These books will shake you. These books will make it impossible to move backwards again. Don't get me wrong, they will bring you full circle. They will give back more than they take, and ignite within you something long ago hidden. Lost along the way to now be recovered. But they will visit the dark and the light. The cave and the mountain. So if you want a nice happy book- go read something else. These books are a revolution. This project is not about dogma or division, it is about universal conscious evolution which means connecting to a shared vision that respects all people, all viewpoints, and all life on this rare blue planet in the farthest corner of the cosmos which we each share. These books and site are meant to inspire a movement, and act as a catalyst for meaningful change through an awakening of the individual.